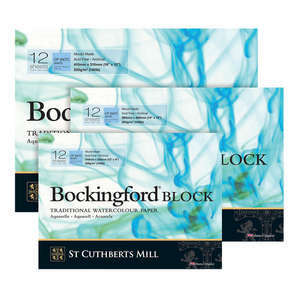 Bockingford Glued Watercolour Pads contain 12 sheets of 300gsm/140lb acid free mould-made watercolour paper. The paper surface is 'Hot Pressed' which results in a smooth surface. This smooth surface is ideal for fine detail watercolour painting & is very popular with botanical artists. It can also be used for pastels, inks, designers gouache and acrylics. The paper is internally sized to prevent the water and colour seeping through. Bockingford Pads are glued along one of the long edges. 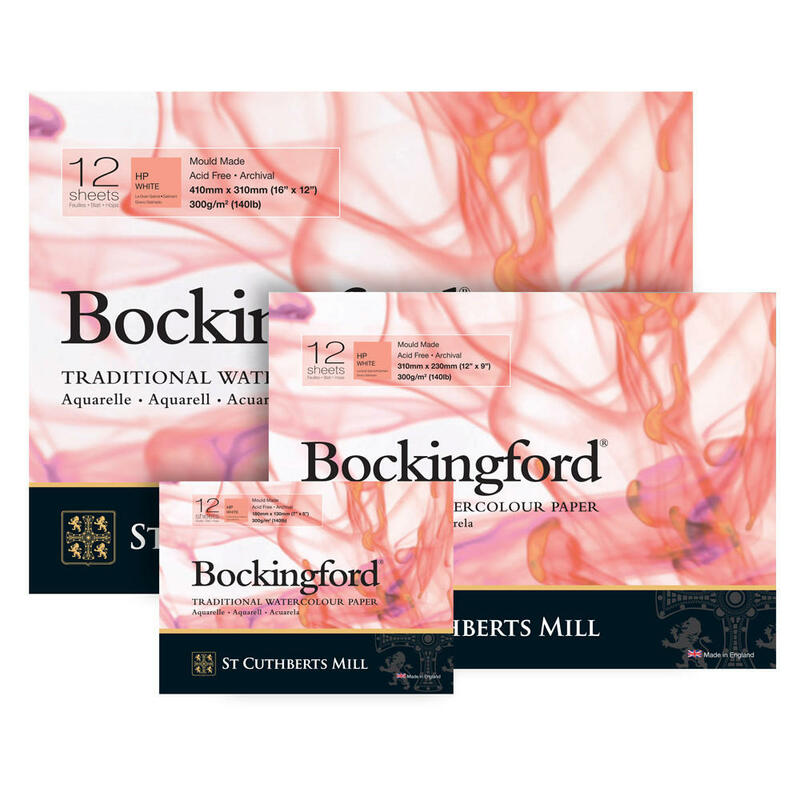 This Bockingford watercolour paper comes direct from the St Cuthberts mill which guarantees high standards of quality in every aspect of production. Bockingford Pads also come in a spiral version & a watercolour block. Select... 7x5" 10X7" A4 12X9" 14X10" A3 16X12"